He looks super puppy-ish and couldn't be more adorable, is very gentle taking treats and even sits beautifully on command. I fell in love and I'm hoping someone out there will too. Dumped on the cold city streets, sat in a kennel desperate for a family - how much can one little man heart take before he gives up all hope? 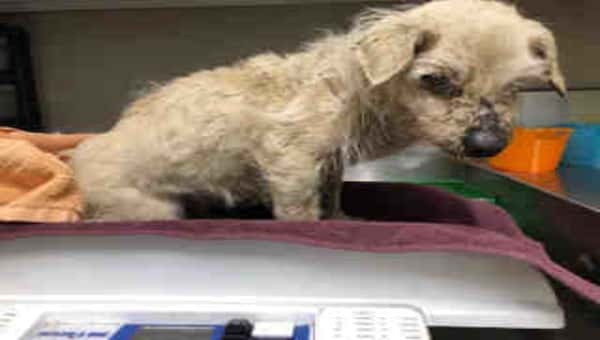 I don't have a name yet and I'm an approximately 14 year old male terrier. I am not yet neutered. I have been at the Palmdale Animal Care Center since February 16, 2018. I will be available on February 21, 2018. You can visit me at my temporary home at P2602. 1 Response to "Too old and not worth saving? 14 year old man now on euth urgent list"